Maha Shivaratri is the Night of Shiva. Wherever there is beauty, truth, and benevolence, there is Shiva. And, there is no place where the Shiva principle is absent. But, Shiva is not a person. It is that principle which is the summum bonum of the whole creation and pervades the entire universe. This principle, called the Shiva Tattva, is the quintessence of life and is present deep within every living being. 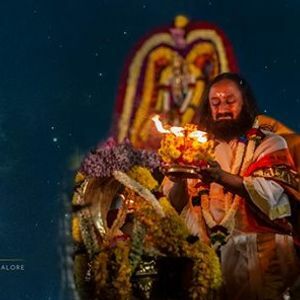 On Maha Shivaratri, we celebrate the Shiva Tattva by going deep within us, meditating, and rejoicing in the Shiva energy. 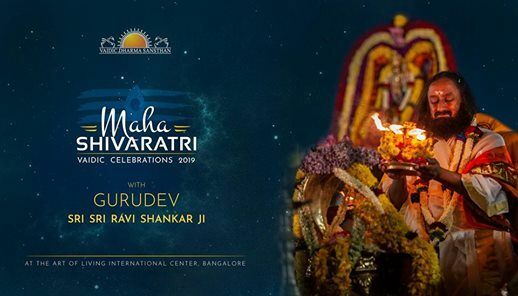 There are certain days and time frames in a year when one’s mental health and spiritual faculties are enhanced, and Maha Shivaratri is one such precious day. The Vaidic mantras, when chanted, affect our being; the ancient Rishis had figured out the impact of various sounds on the brain, and that is how the mantras were articulated. The mantras chanted during the puja generate vibrations which lead to the manifestation of the Sankalpa.